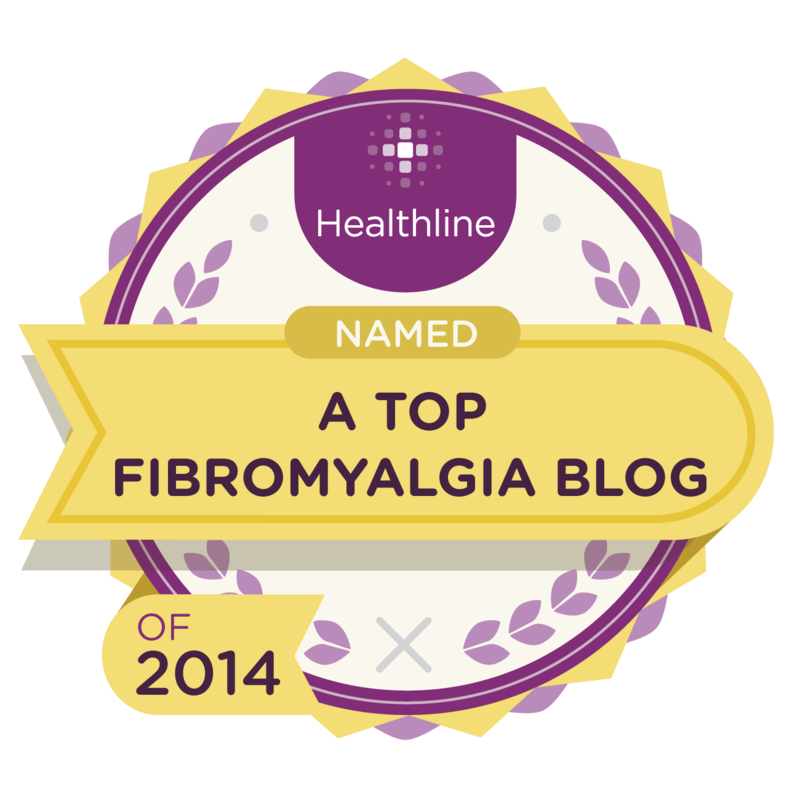 When I was first diagnosed with Fibromyalgia, it was still a disease many people knew nothing about. As the years have passed and medicines are approved by the FDA, Fibromyalgia is becoming more and more known. But I still have family and friends who know nothing about what I go through on a day-to-day basis. When I first met Aldo, he was very understanding with my health problems. As we grew closer, he saw what a struggle I had everyday just to do simple things. In the back of my mind though, I knew he didn’t understand. When we got married, it was harder for him to understand because now he saw me everyday and there was no escaping it. It was there in his face everyday. This definitely put a strain on our relationship because I would not be feeling well when we had family obligations or plans. He got tired of me canceling things or not being able to go to things with him. He would always make me feel worse than I already did. I think it really hit him though when I had to make him come home from work and help me to the bathroom. I finally gave in and called him and it bothered him that I needed help to the bathroom. It took that to make him understand the pain I was in. There were also times he had to stand in the shower with me and help me shower. He had to make sure I didn’t fall or faint because I was so sore and weak. He still has his moments where he gets mad at me, but not like he used to. He understands what I go through on a day-to-day basis. I was still a teenager when I was diagnosed so it was hard for my parents to see me like that. I was always in pain and no energy to do anything. My mother was more understanding than my father was. It took my father a long time to come around and to understand what Fibromyalgia was. He would always get mad at me when I would miss school or work. As I have gotten older, they see how Fibromaylgia effects me. They are more understanding now and compassionate about what I go through. If only they took the time to learn about what Fibromyalgia is and how it effects me. They have never asked questions about it or took any interest in learning. That hurts my feelings because in my mind they don’t want to learn something about me. This is a part of me and will always be there. To this day, when I say I had a bad day or that I was in bed all day because I was hurting, all they say is “Oh I’m sorry”. Now I just don’t bother telling them anything. I don’t want to waste my time and get aggravated. I think I have gotten to the point where it dosen’t even hurt anymore. All I can say is that you know who your true friends are when you go through something life changing. I know it still bothers them when I have to cancel plans, but they have taken the time to learn about Fibromyalgia and how it effects me. That means the world to me and I love them for it. I will always be grateful that they took time out of their lives to understand something more about me. They will never know how much that means to me. Thank you so much for that. Internet: search for Fibromyalgia and you will get a bunch of information. Print important information out to show people or send them links that will help them better understand. Books: take excerpts from your favorite Fibromyalgia books and show them to people. Maybe once they start reading those excerpts, they’ll want to keep reading. Write something: if you are like me and have trouble expressing your feelings to people, write them a letter or an email. Talk about what your day-to-day life is like and how sometimes you are going to have to cancel plans because you won’t know how you are going to feel until that day comes. In the end, you are the only one who can take care of yourself and your feelings. I try not to let things get to me anymore and not care about what people think of me. It is their problem if they are mad because I had to cancel plans. I used to let it bother me all of the time, which in turn, would put more stress on me and make me feel worse. I have to think about myself and my health first and for most. You can only try to make people understand. They have to want to understand what Fibromyalgia is all about. Please comment on what you have done to try and make people understand your condition. This entry was posted in Chronic Fatigue, Chronic Pain, Depression, Fatigue, Fibro, Fibro Fog, Fibromyalgia, Invisible Illness, Memory Problems, Stress and tagged Chronic fatigue syndrome, Chronic Pain, Conditions and Diseases, Fibro, Fibromyalgia, Invisible Illness, Mental Health, Michelle Arbore, Stress. Bookmark the permalink.